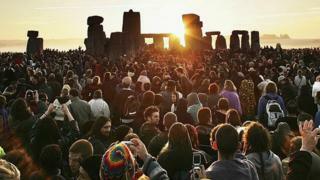 Scientists recreate sound of Stonehenge - 3,000 years later! Scientists have recreated the sounds of Stonehenge from thousands of years ago, using virtual reality. Using the technology, people visiting the rock circle will be able to hear what it would have sounded like 3,000 years ago, back when it was complete. The sounds visitors will hear are made using ancient instruments to take people back in time. Newsround takes a look at just why this stone formation is so important. Stonehenge is an historical site in the south-west of England with a very famous and mysterious circle of stones built at it. The stone circle dates actually dates back around 5,000 years. It is made up of lots of big stones, called sarsens, and smaller stones inside the circle, called bluestones. No one actually recorded exactly who built it or even how they did it, but from studying the site, archaeologists believe that it was built bit by bit. They think the big stones - a type of sandstone - came from somewhere around 19 miles away and were dragged on wooden sledges to where Stonehenge is today. On average, they weigh about 25 tons each! Meanwhile, they believe the smaller stones used inside the circle came from over 150 miles away! The big sarsens stones weigh about about 25 tons each! There are many theories about exactly who built it, when and why, because no one knows for sure. Some say it was where Danish kings were crowned. Others that it was used as a way of predicting eclipses and solar events, because of the way the stones are positioned. However, what has generally been accepted is that it was a temple with the stones set up to line up with the movements of the sun. Archaeologists have found all sorts of items from thousands of years ago all around the Stonehenge area, which have taught us a lot about the Neolithic and early Bronze age periods of history. One of the most impressive things about Stonehenge is how people were able to build it in the first place. They didn't have any cranes to help them lift the heavy stones back then and would only have been able to use simple tools made from wood, stone and bone. 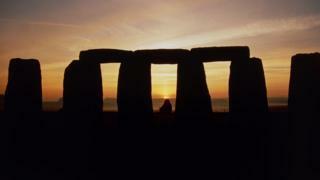 As World Heritage say: "Stonehenge is the most architecturally sophisticated prehistoric stone circle in the world." It's also important as it was built in a special way so that the stones line up with the sunlight at certain points in the year. When this happens, many people go to visit Stonehenge and enjoy the sun's light show through the rocks, as you can see in the picture above. 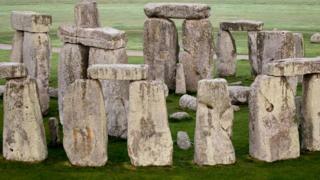 Stonehenge has also inspired many pieces of art and has featured in books, music and on screen - including in Doctor Who! For many people, it is a very spiritual place. As English Heritage says: "It allows everyone to feel a connection to the past." It is a symbol of Britain and a very important piece of the UK's history. 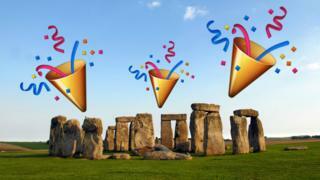 At the end of November 2016, Stonehenge celebrated 30 years as a World Heritage Site. This was significant as, back in 1986, Stonehenge was one of the very first sites in the UK to get onto the World Heritage list. Being a World Heritage site means that the area is officially recognised as being extremely important to the world's history and culture, and it is protected. 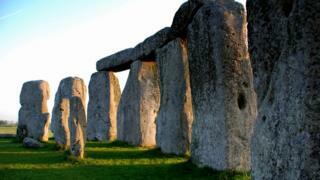 Now, it is one of the most famous prehistoric monuments in Europe.